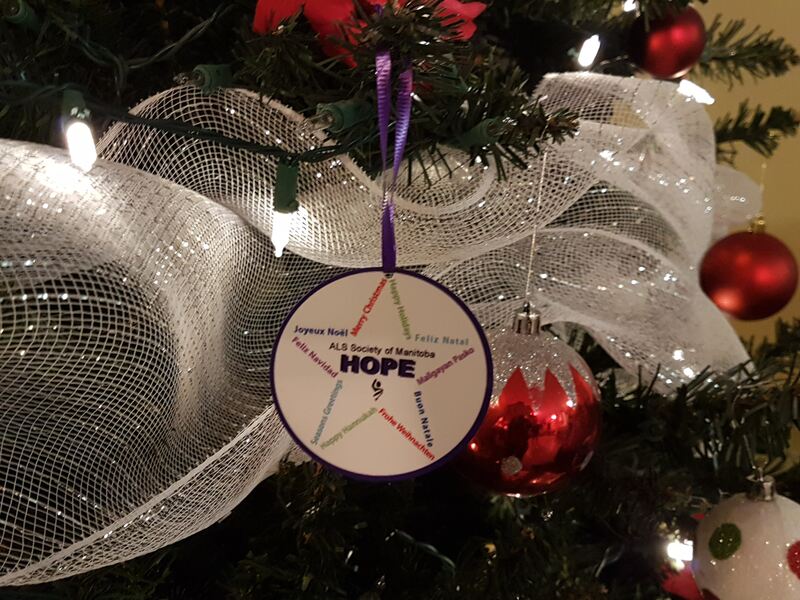 December 1, 2018 to January 31, 2019 – Thank you for your participation! 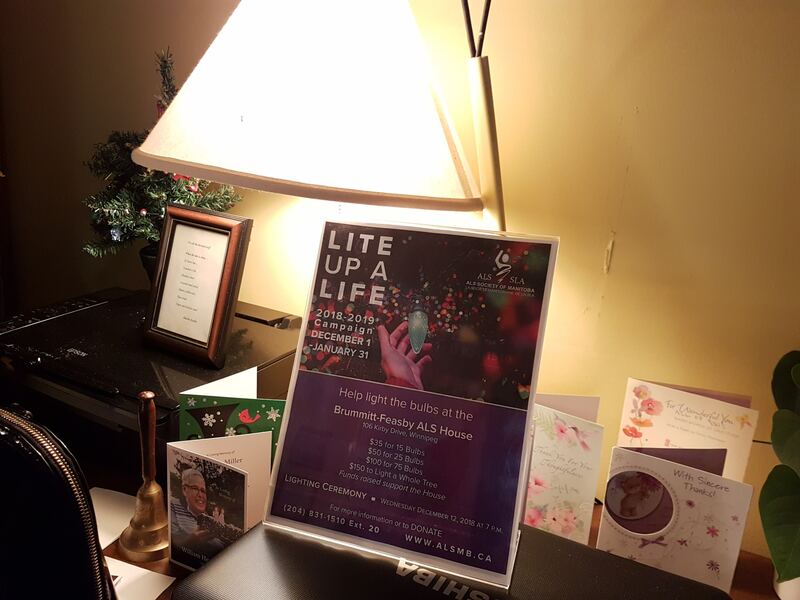 This campaign help light the bulbs during the whole holiday season at the Brummitt-Feasby ALS House! 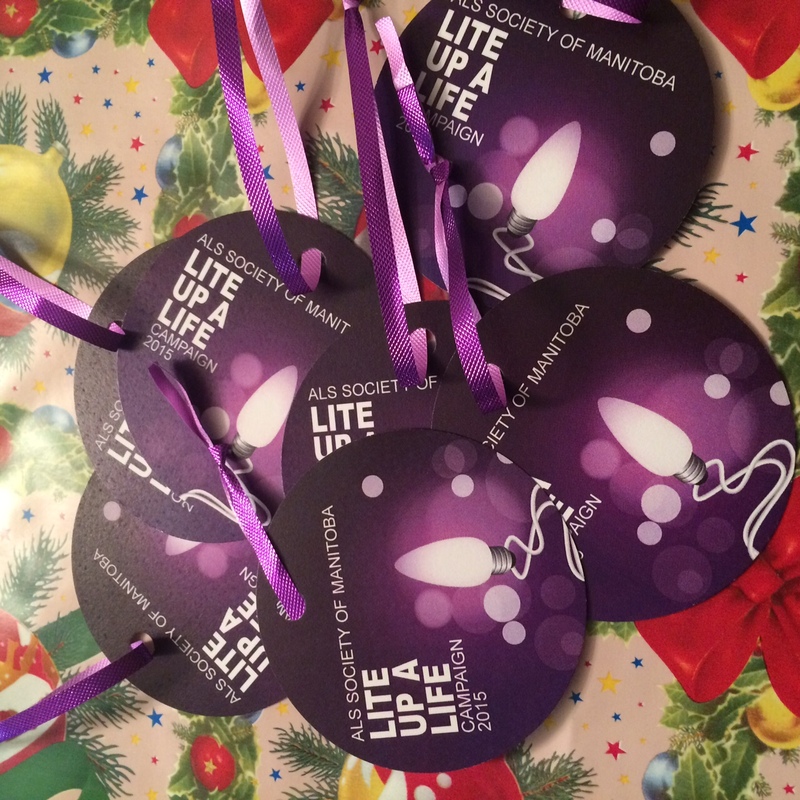 The Lite Up A Life campaign remembers those who have passed with ALS, those living today with ALS and those yet to come. 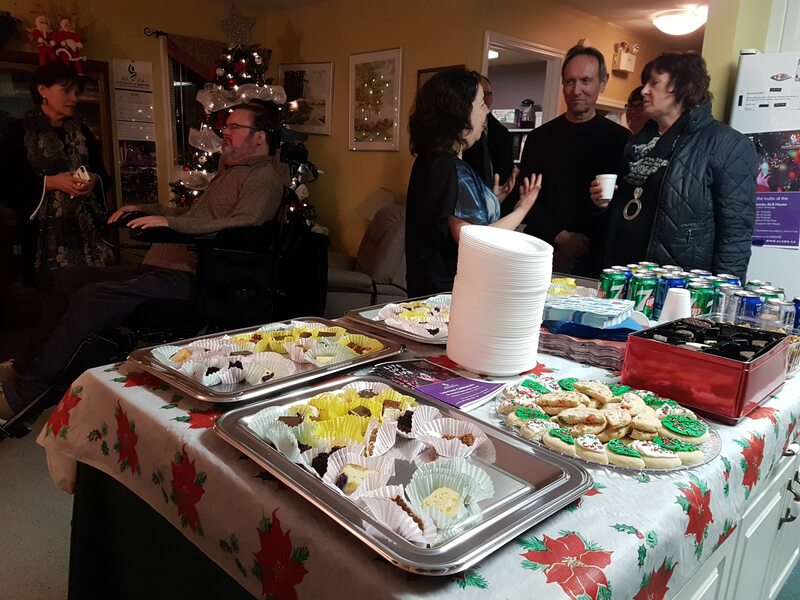 Funds raised support the Brummitt-Feasby ALS House, the only home with care and support for people living with ALS/MND in North America. 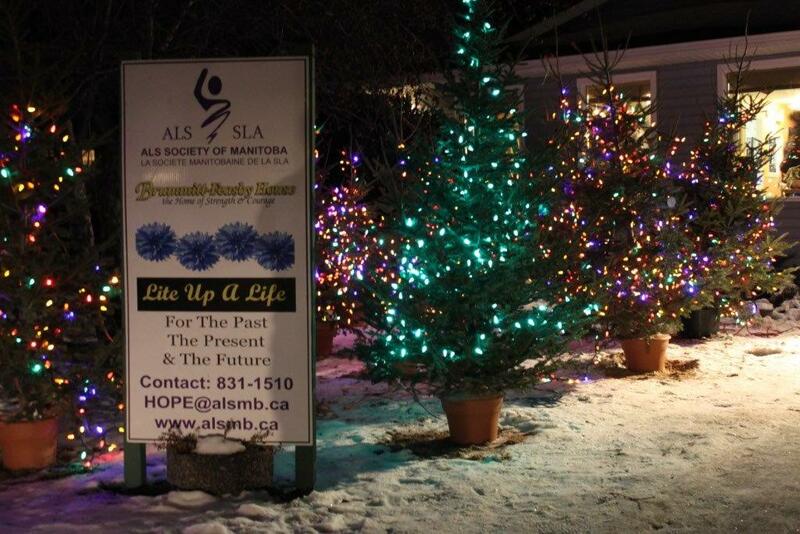 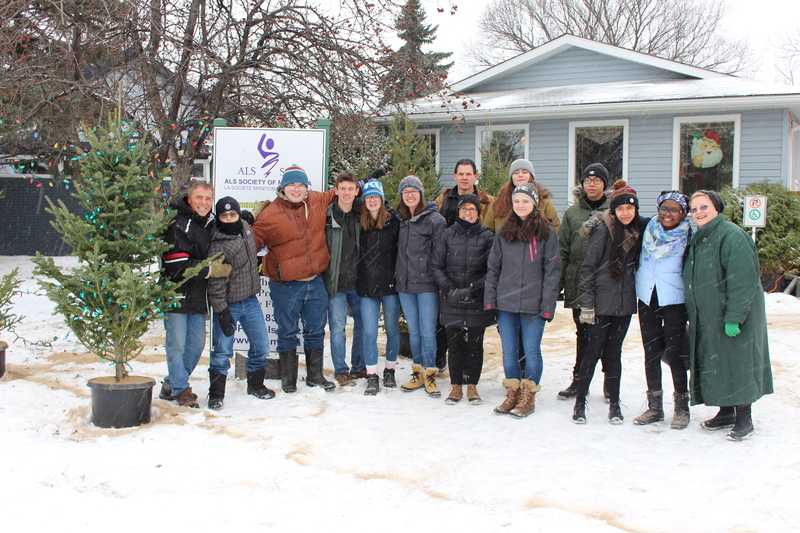 The 12 holiday trees at the Brummitt-Feasby ALS House are shining bright! 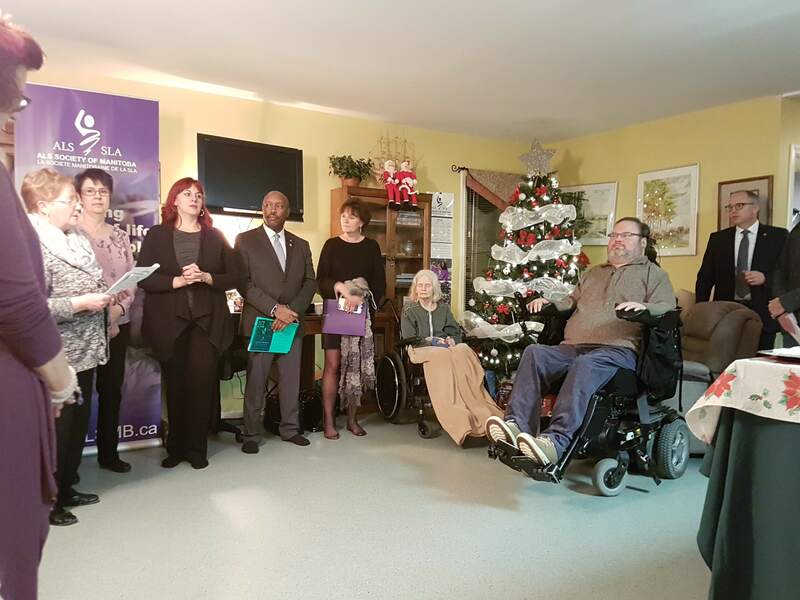 Thank you Hon. 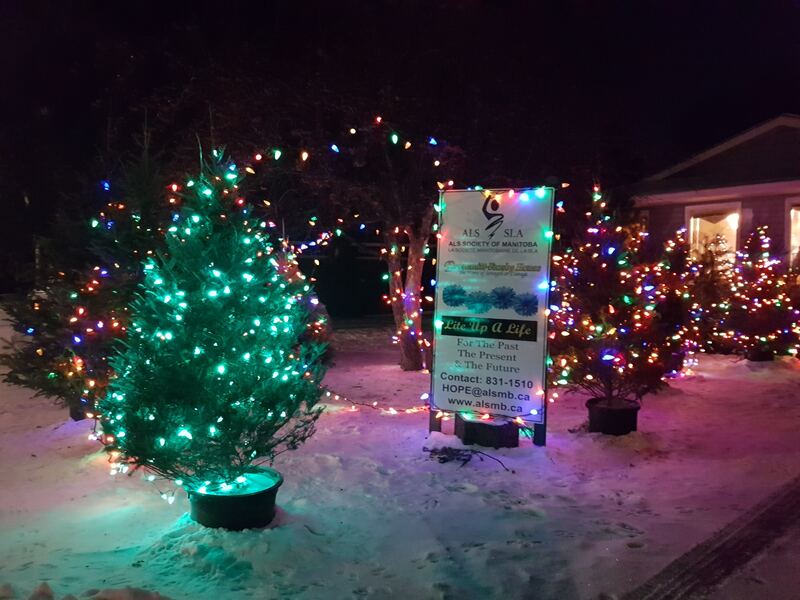 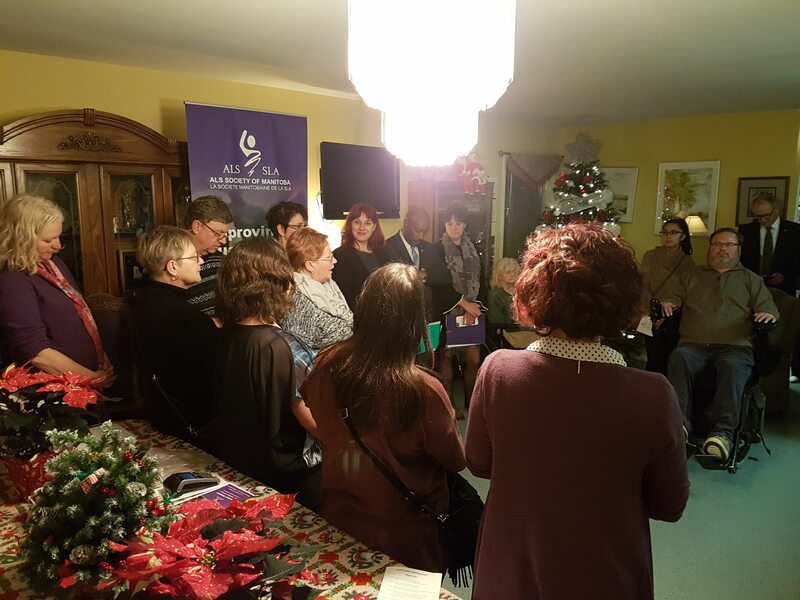 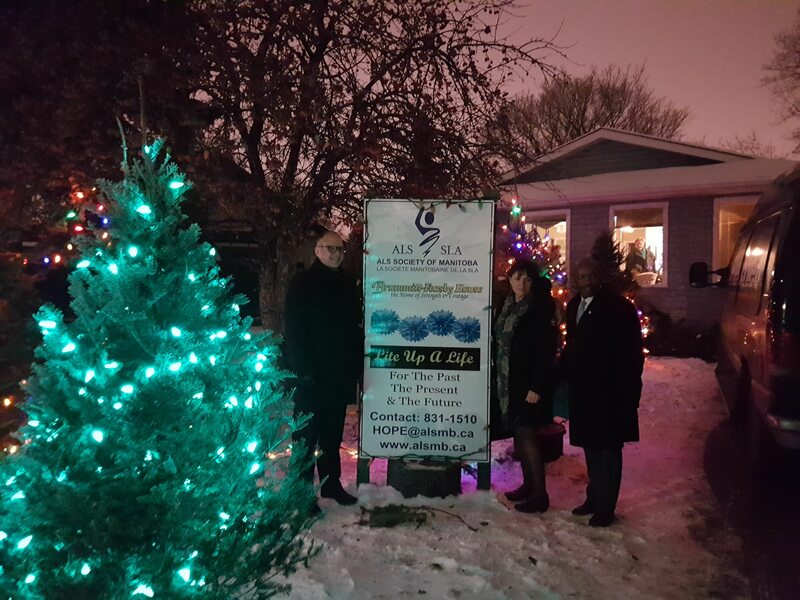 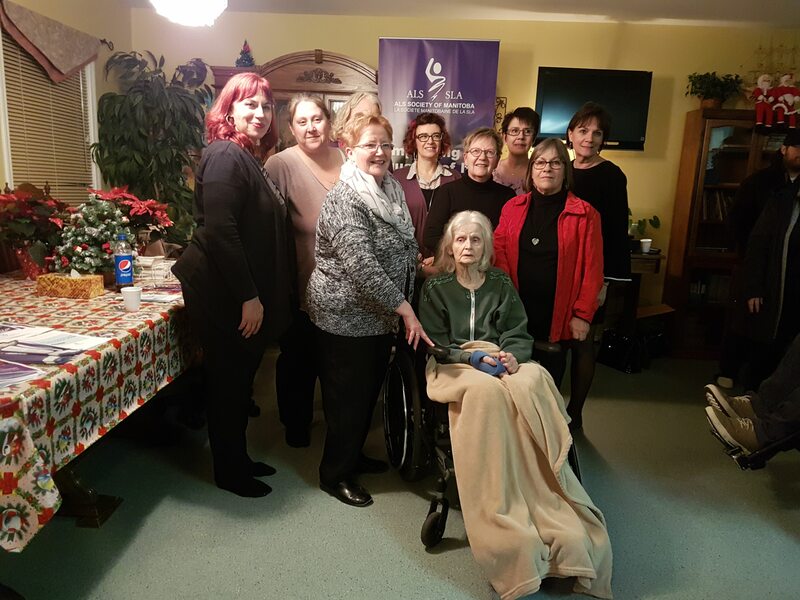 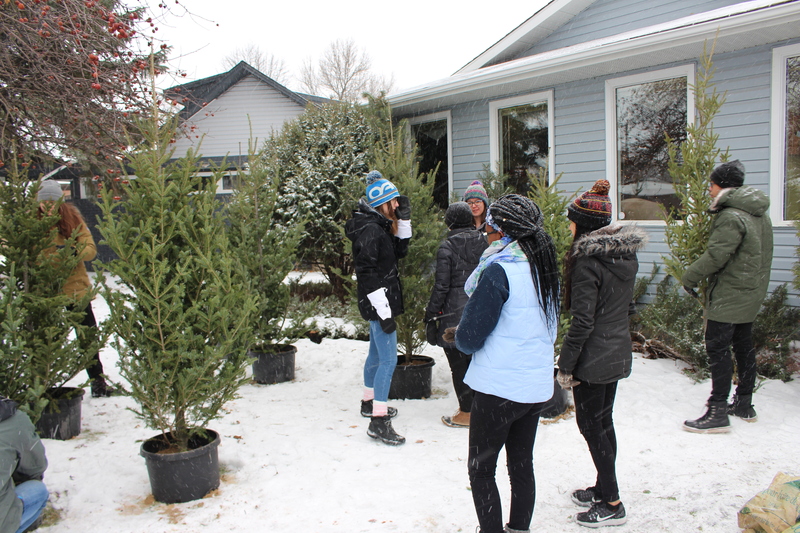 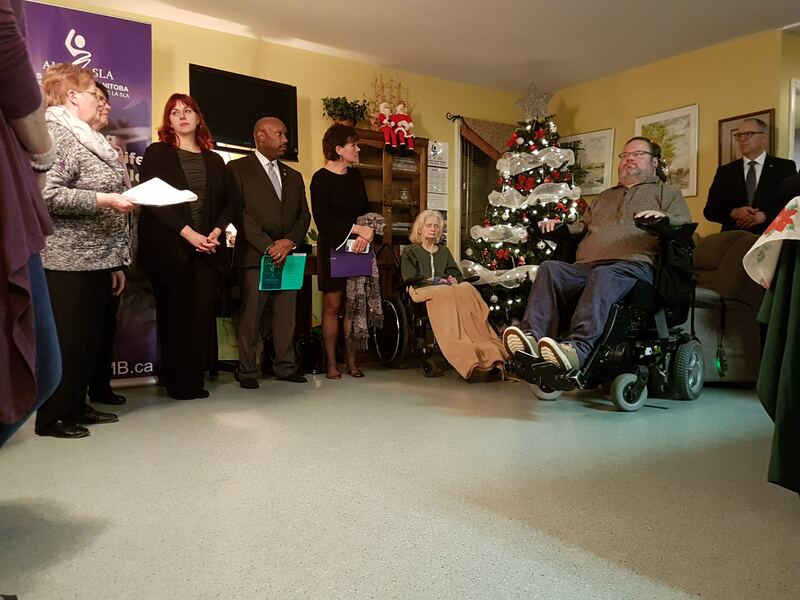 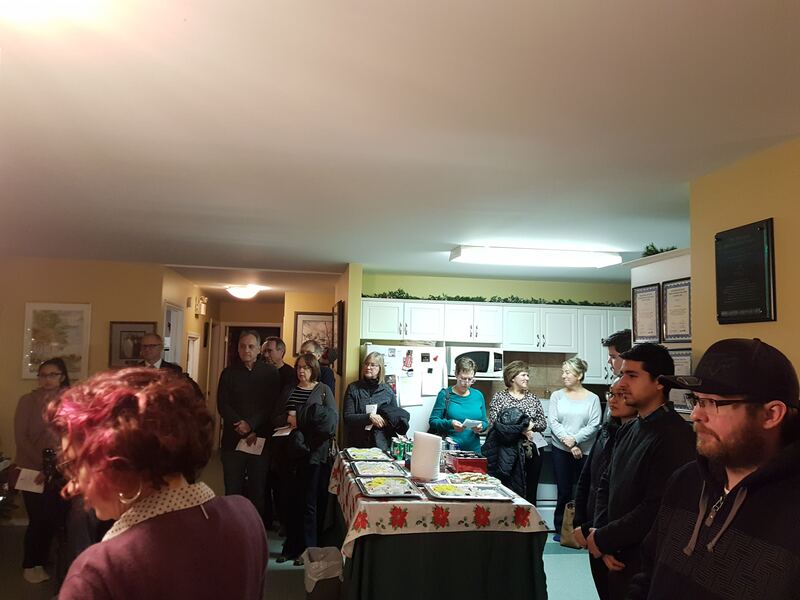 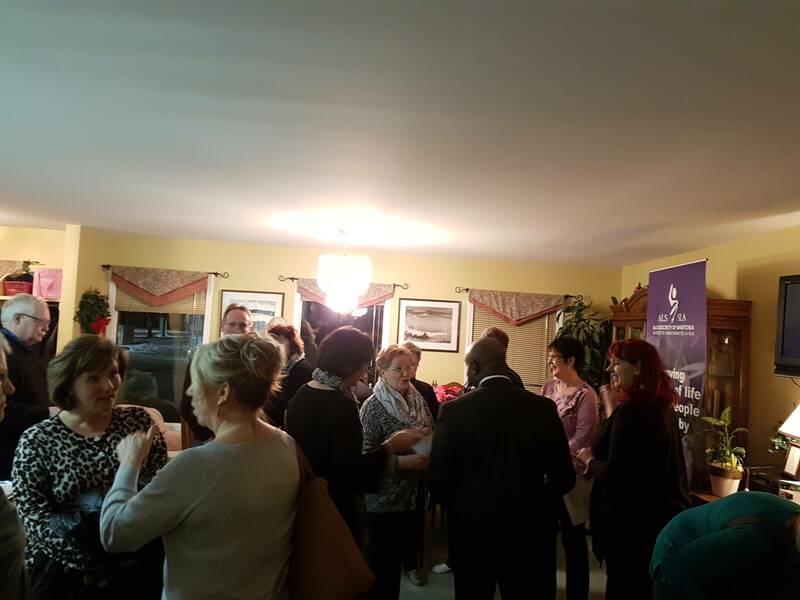 Steven Fletcher, MLA Janice Morley-Lecomte, Deputy Mayor Markus Chambers, Councillor Scott Gillingham, Clients, families and friends for attending the Lighting Ceremony on December 12, 2018.